Americans already face a $1.8 trillion regulatory burden. These heavy costs are passed on by businesses to consumers, who spend almost a quarter of their annual income complying with regulations often approved executive-level agencies, which have effectively become the fourth branch of the federal government. American Energy to the Rescue Americans want a robust economy with upper mobility. Increasingly, they realize the policies and the arrogance of Obama, Pelosi, and Reid have severely retarded our economic growth. "Oregon Set To Say Goodbye To Its Doomed Health Care Exchange"
"Oregon is saying goodbye to the terminally ill Cover Oregon, after millions in wasted taxpayer money, FBI investigations, lawsuits and political fallout that will be felt for years to come." In 2011, with bipartisan support from both Democrats and Republicans, Cover Oregon was ushered in as the vanguard of the state based healthcare exchanges encouraged by the Affordable Care Act. Instead of resisting the Obamacare mandate, the Oregon legislature doubled down on Obamacare, with the encouragement of our Democrat Governor, former ER doctor John Kitzhaber. Despite innumerable warnings from grassroots activists that the project was doomed to failure, most Republicans in the legislature were persuaded to go along. Now, Oregon is saying goodbye to the terminally ill Cover Oregon, after millions in wasted taxpayer money, FBI investigations, lawsuits and political fallout that will be felt for years to come. On November 26, Senator Ron Wyden (D-OR) released his plan to generate tax revenue from Oregon and California lands currently under control of the federal Bureau of Land Management. The plan has met with mixed reviews. Counties in Oregon that are desperate to replace lost tax revenue from timber jobs are crossing their fingers, hoping this is their long sought solution. Environmentalists are predictably frothing at the mouth. 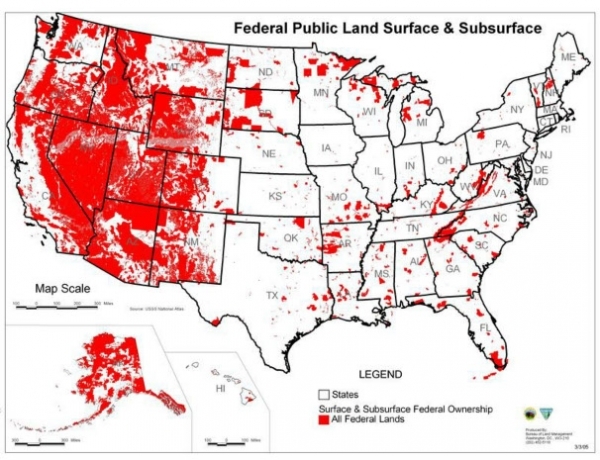 But the solution proffered only serves to expose the problem in more stark relief: the fact that any of these lands are under federal control is the real problem.